What a nice ‘bakra’ man Mr. Cargill was, eh! He was always so sorry for poor, ignorant black people. He didn’t want lots of backward people to be going up and down Jamaica foolishly thinking that they were equal to him, deceiving themselves that what they speak is a language just like his. No, sir! Mr. Cargill wanted us to know our place. He tried his best to make us understand that we’re just like cats and dogs: we can bark and bite and make lots of noise and show that we’re angry or happy. But language? Culture? We don’t know those fancy words. That kind of language is spoken only by ‘bakra’. Have you ever heard of cats and dogs talking about how cats and dogs converse so nicely? 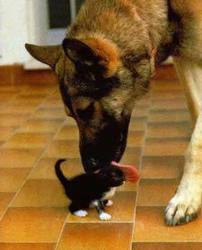 Cats and dogs do communicate in their own way. But they don’t talk about talking. They don’t philosophize. It is true that some North American cats and dogs suffer from depression and other emotional illnesses that we in Jamaica assume are purely human afflictions. Our pets don’t usually get confused about their identity. They know they are not human. Of course, we do have exceptional pets in Jamaica, owned by exceptional people. Morris Cargill certainly had an unusual pet. It was a poodle. I don’t know if it had any emotional problems. I do know that the dog was very intelligent. It seems as if the poodle was much brighter than many black people in Jamaica. It was completely literate in English. In fact, the dog sometimes wrote Cargill’s newspaper column for him. And Cargill called our Jamaican language ‘yahoolish’ for a very good reason. He seems to have gotten the idea from the fictional travel journal, Gulliver’s Travels Into Several Remote Nations Of the World, written by Jonathan Swift and published in 1726-27. Swift was a British satirist who critiqued his own society, revealing its follies. 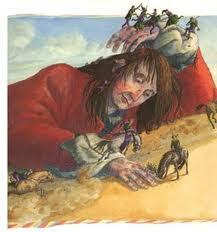 On Gulliver’s fourth and final voyage, he discovers a land of intelligent horses called the Houyhnhnms. These horses are as bright as Morris Cargill’s poodle, I suppose. 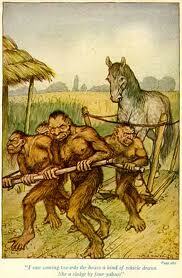 They share the land with the Yahoos, a despised race of creatures that look like apes. Here is Gulliver’s account of his encounter with the Yahoos: “My horror and astonishment are not to be described, when I observed in this abominable animal, a perfect human figure: the face of it indeed was flat and broad, the nose depressed, the lips large, and the mouth wide; but these differences are common to all savage nations, where the lineaments of the countenance are distorted, by the natives suffering their infants to lie grovelling on the earth, or by carrying them on their backs, nuzzling with their face against the mothers’ shoulders”. By calling the Jamaican language yahoolish, Morris Cargill was helping us native speakers to recognise the similarity between ourselves and the Yahoos. Cargill wanted us to accept the fact that we are a savage nation, speaking a savage language. But we could be tamed if we tried our best to learn English, the language of civilisation. So even though it might have sounded as if Morris Cargill thought that many black people in Jamaica are subhuman because what we speak is not a language at all, I was really quite happy that he felt so sorry for us. It seemed as if he wanted to bring the best out of us. 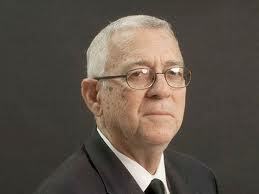 He wrote so many newspaper columns in which he tried so hard to show us how ‘dark’ we were. He certainly took poor black people’s interest to heart. 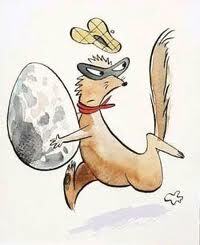 But, you know, I’m always very suspicious when I hear that a mongoose is looking after chickens, so to speak. Can a mongoose really be expected to look out for the best interest of a chicken? It seems to go against the very nature of a mongoose to look at a chicken and not see a meal. But, I suppose, there are kind-hearted mongoose that could look after a chicken without any selfish motives whatsoever. Morris Cargill regularly threw words at us for our own good. ‘Sticks and stones may break my bones but words can never harm me’ is a deceptive English proverb. Jamaicans aren’t foolish enough to buy that. We know that ‘throw-word lik hot’. And one person’s joke can be deadly serious to a ‘nex smaddy’. 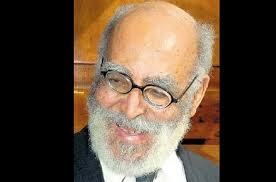 Morris Cargill used to make some wicked ‘jokes’ about language, colour and class in Jamaica. It seems as if he just loved to provoke black people. For whatever reason. 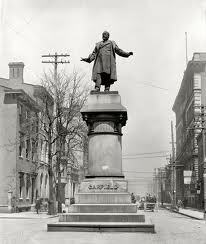 Oddly enough, many of the same people Cargill so consistently used to mock put him up on a very high pedestal because of his command of the English language. It didn’t matter that he was commanding the language to attack them. Some of us Yahoos who knew better just had to bite back. That headline was classic Morris Cargill. 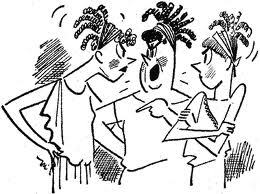 In his Sunday Gleaner column published on October 29, 1989, Cargill mockingly made his case for banning ‘Patois’: “The slackness and anarchy of Patois reflects itself [sic] in the slackness and anarchy of our society in general. 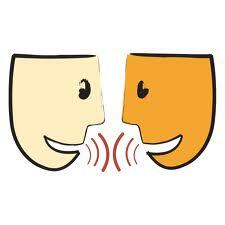 We are as we speak and we speak as we are”. I don’t usually draw attention to grammatical errors in public, except in the classroom. I don’t set out to embarrass speakers who are not competent in English; not even duppies. I don’t idolize English. 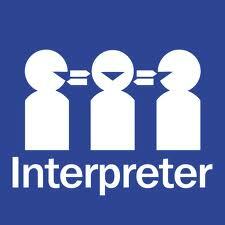 It’s just a useful tool of communication like every other language across the globe. But since Morris Cargill used to make such a big point about English ‘correctness,’ I think it’s quite appropriate in this instance to show him up. In that contemptuous column, Cargill attempted to ridicule the lucid arguments made by Dr. Mertel Thompson in support of bilingual education for Jamaican students. 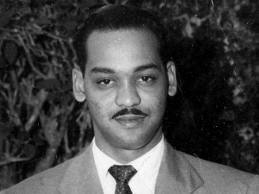 For more than two decades, Dr. Thompson taught English at the University of the West Indies, Mona. 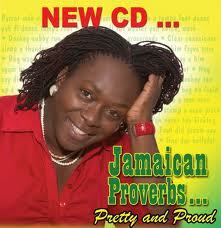 She certainly understood the complexities of language teaching and learning in Jamaica. Last week, Dr. Thompson was laid to rest. At her funeral service, her son, Douglas, reminded the congregation of Cargill’s tongue-in-cheek assessment of the value of his mother’s academic work. 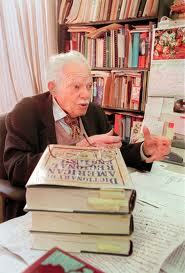 And he humorously predicted that Mertel would be giving Morris language lessons in heaven. In less technical language, Louise Bennett’s Aunty Roachy gives a much more subversive account of the process. She doesn’t use those big Latin/Greek words: ‘vocabulary’ (words); ‘morphology’ (structure); ‘syntax’ (word order) or ‘phonology’ (sound). It’s pure Jamaican: “Aunty Roachy seh dat if Jamaican dialect is corruption of de English Language, den it is also a corruption of de African Twi Language to, a oh! 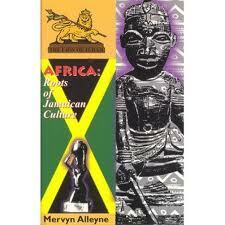 “For Jamaica dialect did start when we English forefahders did start mus-an-boun we African ancestors fi stop talk fi-dem African language altogedder an learn fi talk so-so English, because we English forefahders couldn understan what we African ancestors-dem wasa seh to dem one anodder! 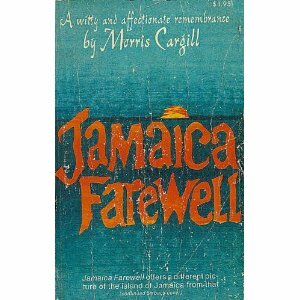 Unlike Aunty Roachy and Dr. Thompson, Morris Cargill had no respect for the Jamaican language. 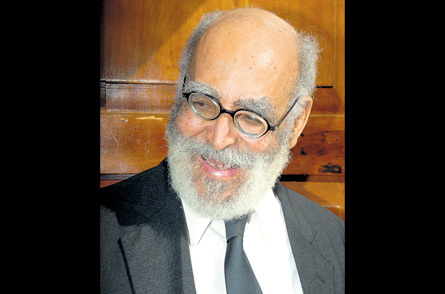 He dismissed those of us who, as he put it, “would like to see Patois retained as part of our cultural heritage, and believe that it can occupy that honourable place alongside the teaching of standard English”. Cargill made his own position absolutely clear: “I, on the other hand, take the view that if it is what is called ‘our cultural heritage,’ it is a lousy heritage redolent of slavery and that if we keep on saying it is a great thing, it merely encourages its continued use until it will finally swamp what remains of standard English in Jamaica. 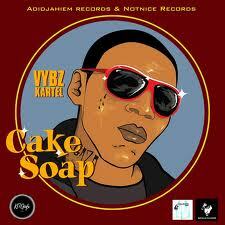 Of necessity, most people have inherited patois but I see no reason to make a virtue of necessity”. Wat a nais bakra man Misa Cargill iz, iing! Luk ou im so sari fi puor ignarant blak piipl! 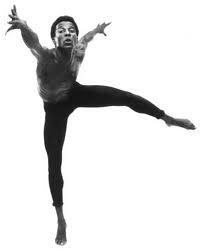 No waant no huol hiip a bakwod piipl dis a waak-waak bout Jamieka a iikwal op demself, a gwaan laik se dem a taak langgwij jos laik im, a fuul op demself. Nuo man! Misa Cargill waant di huol a wi fi nuo wi plies. Im waant wi fi nuo se wi kom iin laik pus an daag: wi kyan baak an bait an mek naiz an shuo se wi beks, an kin wi tiit. Bot langgwij? 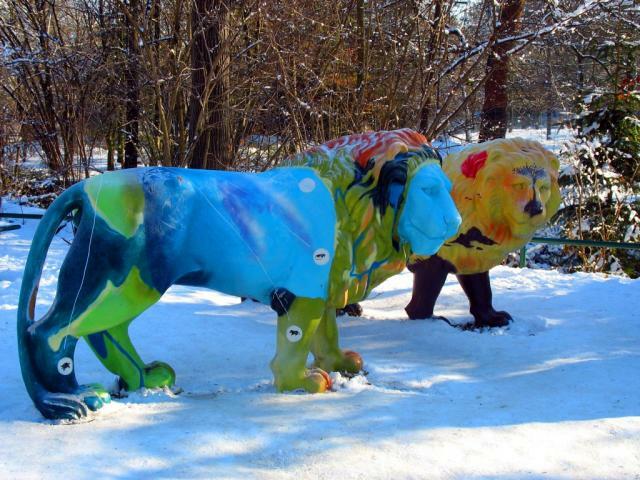 Kolcha? Wa niem so? Wi no nuo dem de hai wod, maasa. Dem briid a wod ongl paas out a bakra mout. These days, the Gleaner would never publish on the editorial page a column written entirely in Jamaican. Believe me, I have tried. We have flag independence. Yet we continue to suffer from mental slavery. Claiming the power of the language we have created on this Jamrock would be a big step on the long journey to full freedom. C: Mr Perkins, why yu don’t listen mi, boss? Me woulda never like fi have yu inna my class, yu know, yu woulda get pure ‘F’. C: Never like have yu inna my literature class. Pure ‘F’. Because yu don’t listen. C: And you cannot converse. P: What does mongrel mean? What it mean? P: But you came to me with a, you came to me with a long dictionary definition. P: Have you abandoned, have you abandoned the dictionary, have you abandoned the dictionary definitions you came with? C: Come from nowhere, low-class dog a mongrel. P: No, hold on little! P: I happen to know, listen to me for a moment, I happen to know something about dogs. C: Yes, I don’t like dogs. Mek mi tell yu dat. P: You don’t like dogs? C: Me don’t like mongrel dog. P: I am very fond of dogs and I have kept a lot of dogs in my time. C: Mr. Perkins, me feel seh dog must stay out a yard. C: I don’t have dog inna mi bed and dem tings. P: No, no, no, no! Has nothing to do with whether the dog is a mongrel. OK? You have mongrels that are first-class dogs. If you’re talking about watchdogs. P: No, no, no, no! No, no, no, no! C: So wat yu bring up dis eedyat argument for now? P: You are telling me that a mongrel is a low-class, wutliss dog. That is not true. There are mongrels that are damn good dogs. OK? Ha, ha, ha, ha, ha, ha! As anybody who keeps dogs will be able to tell you. C: OK? So we agree that mongrel can get training. P: Man! And them can be good, too. P: You go in – some people have mongrel in dem yard yu can’t go in there. P: Me know yu woulda cross out all kind a thing, but what you would cross out don’t mean nothing. P: So you tell me. P: What Mr., what you understand Mr. Seaga to mean. P: But then what are we arguing about if you don’t know what he means? What yu arguing about? C: What I’m arguing about is perception of what he meant. P: What is your perception of what he meant? P: No, I’m talking about your perception. P: What did you understand him to mean? 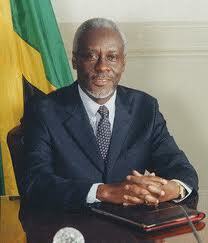 C: What I understood him to be saying was that the high-class PNP done wid an yu only have bad-breed dog a run it. 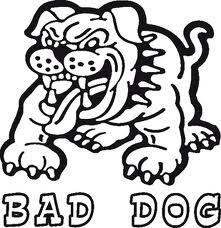 P: Bad breed, bad breed dog a run it. C: Yes, that is what I understood. And that is what a whole heap of people also understood. P: Bad breed, bad breed, bad breed dog. You think he meant dog. We’re back with the literal meaning. You think he was talking about dogs. P: Run by a bad breed dog. C: Come een like a bad breed dog party. P: Not a pure bred dog. A bad breed, mix up dog. C: The Manleys were mongrel. P: The Manleys are mongrel. 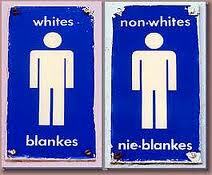 C: Mongrel in the racial sense. OK? So that is where now, in a sense, Mr. Seaga’s metaphors got mixed up. In the interpretation. P: Absolutely. You as a university teacher of language and literature and language hear what a man says and you are interpreting what he says by first assuming that he did not mean to say what he actually did say. He meant something else. P: But, but, but, hold on little bit now. The man used the word mongrel and you are telling me that im use the wrong word. That’s not the word im shoulda use, it shoulda be something else. Ha, ha, ha, ha, ha, ha, ha! C: Mr. Perkins, yu know, in debating yu know wat dem call that? 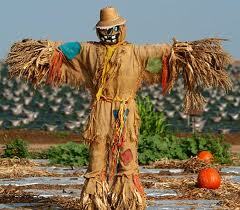 A straw man. P: Hold on little bit. A what? P: No, no! But you – let tell you something, ma’am. C: Stop tell lie pon me. P: No, let me tell you something. Let me tell you something. C: Yu ask me how I get to it, me personally. P: No, hold on a little for me. Hold on little bit for me. This is entertaining. Hold on. P: Thank you very much. We’re back here with you ma’am. C: Mr. P? First question. Yu ever hear of the word paradox? C: Alright. That is one of the words we literature people deal with. Let me – yu know me like the dictionary because, yu know, it tell yu wat people tink the word mean over time and it can change up; but is useful. 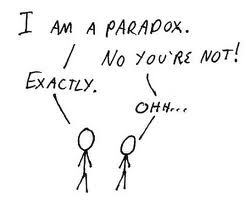 Listen to what a paradox is: “a statement seemingly self-contradictory or absurd though possibly well-founded or essentially true”. Now I’m going to apply paradox to my understanding of Mr. Seaga’s use of mongrel. P: You first have got to establish that Mr. Seaga, that there was some reason for thinking that Mr. Seaga intended paradox. P: We are trying to devise what Mr. Seaga meant. Or what reasonable construction can be put upon what Mr. Seaga said. C: Mr. Perkins, I am not trying to say that Mr. Seaga’s statement was paradoxical. I am using paradox to explain my interpretation of what he said. P: I follow you. Alright. Go ahead. Let’s hear it. C: I don’t know what Mr Seaga meant. P: You don’t know what Mr Seaga meant. C: I don’t know what he meant. P: So what are we arguing about? P: Ha, ha, ha, ha, ha, ha! C: is a two-way process. P: You don’t think that, hold on, you don’t think that you ought to owe it to consider that? Before accusing him of making racist remarks. You don’t think you ought to consider what he meant before you go accusing him of making racist remarks? C: You know what I’m going to ask you to do Mr. Perkins? Ask Mr. Seaga to come on tomorrow and explain what he meant and then we will have a three-way conversation. P: No, no! I am asking you. You are telling me that you had no idea what he meant, but you have a long dissertation as to what he must have meant. P: What are you saying, then? C: Only. I’m not only saying I don’t know what he meant. I’m saying 1) I don’t know what he meant, but I’m going on to say I can tell you how what he said impacted on me and on other people. Let me be specific. When I went to the market I saw one of my friends. And, you know, I greeted her and said, “hi”. She was talking to somebody else and she laughed and said, “the mongrels are holding discussions.” I said, “what you talking about?” Because I don’t know where I was I never hear about the mongrel business. And she said, Mr. Seaga had a speech at a party meeting which was on TV and he said the PNP now is not the PNP of Norman Manley and Michael Manley is a mongrel party. 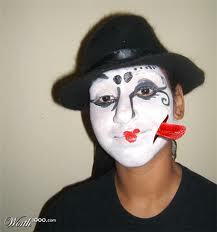 And she and this market lady were talking – in fact the lady go even so far as to seh, “mongrel? 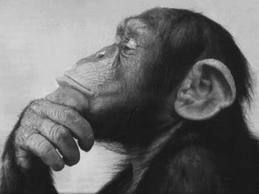 A monkey im a call we.” And I even had to say, “no man, how you get from mongrel to monkey?” Then is afterwards I hear that there was some JLP ad wid some monkey or something which people felt was a reference to PJ being a black man. P: I didn’t see that. P: I don’t know anything about it. C: So I get it, so I give it. P: So the perception. But, hold on little bit now. Yu putting that out although yu didn’t see it yourself. P: You know anybody who saw it? C: Yes. JLP ad with monkeys in it. C: A mongrel is a person not of pure race. Pure race. If you have pure white you’re not a mongrel. And if you have pure black you’re not a mongrel. But if you mix-up you are a mongrel. P: Yes, what he meant was that it was a pure black party. C: And then they go on to think, me too, language is emotive is not rational all the time. C: Who, who has so far departed? C: No, no, Mr Perkins! C: You mean other mixed race people? P: Mr. K.D. Knight, Mr. ahm, come, give me some more, nuh. C: Well, you remember this is why I have problems with racial categories. P: I’m looking for all the purebred people in the party. Ha, ha, ha, ha, ha, ha, ha! C: You want to make what I’m saying absurd, but I know you have sense. P: I’m not making it absurd, ma’am. But speaking of it, it is absurd. C: Intellectual yes – because metaphor is a very intellectual thing. Although I shouldn’t say although – and, indeed – the intellectual ability of the Jamaican people around metaphor is evident in their proverbs. Our proverbs. We use metaphor all the time for abstraction. Sorry fi mawga dog, mawga dog bite you. P: Yes, yes, yes. So when people say, hold on little bit. When people use words like that mawga dog an dog ha too much master go to bed without, is people they calling dogs? C: Of course. Is symbolic. P: I see what you mean. They’re being disparaging of people. Calling them dogs. Black people. Black people. P: And they’re being disparaging of black people. C: A wonderful poem. For what Joan is doing is now reversing the cultural associations between dog and something negative that we see in the Oxford dictionary. Mongrel, applied to persons as a term of contempt. You understand? P: You know, ma’am, I keep saying you know, I keep saying you know ma’am, the problems of this country, hold on little bit, the problems of this country, with all the violence that you hear going on in so-called ghettoes and inner city areas, right? That is not where the problems of this country lie, you know. C: The problem is with the university, nuh. P: It lies in the intellectual ghetto. Yes. It lies among people like you. C: How mi know yu were going to bad talk the university? P: Look ma’am. Hold on little, I’m not in the business of winning votes. C: No, mi nah look no vote, man. But mi a seh, you are trying to tell me now that me a mix up people. P: What are you at the university, ma’am? What are you at the university? C: What yu mean? I teach literature. I’m a normal, ordinary lickle teacher. P: What are you? A lecturer? C: No, mi no reach professor yet. P: Yu no reach professor yet. C: Mi only write one book. Mi need to write one more book. 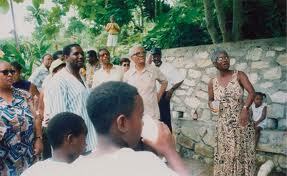 Mi writing a book right now on Dr. Erna Brodber. 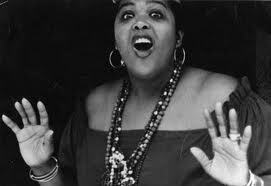 She is down in Woodside and she’s a brilliant analyst of Jamaican culture. Mi a write one book pon her now. So when mi done dat book mi wi go up fi professor. But mi no ready fi professor yet. C: Mi a Senior Lecturer. Yu know, professor in waiting. Yu know, mi just a hold on. Yes. So wat yu ask me dat for now? C: Yes, what would happen? 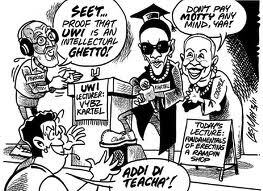 P: What would they think of the University of the West Indies? P: What a brilliant set of people! P: I wouldn’t do it all the same, yu know. I wouldn’t do it. C: Do it nuh, man! 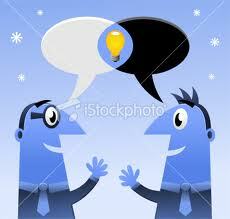 P: I once heard a discussion on an American television programme. Serious, serious discussion about black people being genetically disadvantaged. And I wouldn’t want to provide any evidence to support such a theory. C: Oh, so you’re saying that I’m, so yu a call mi a mongrel? P: Ho, ho, ho, ho, ho, ho, ho! C: Yu a call mi mongrel. Is alright. P: It said something about their brains being too small. C: Oh, yu know big brain have more sense than lickle brain? P: Out of that brain, big or little, I don’t think much sense is coming. C: why I left UWI to come to University of Florida when all the people are back at UWI. C: I had to laugh. The work that we’re doing, the scholarship is well recognized, you know. C: Mr. P., is only you keep knocking UWI. P: Well, I’ll tell you something. 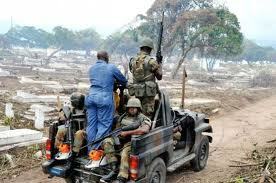 If you will come here and talk nonsense like you’ve talked today, I have no choice. C: Let me tell you. P: You give me no choice. I would love to say wonderful things about the university. C: And Mr. P., you can’t use me as the standard, you know. P: Ah! I see. Alright. Oh, I see. So, OK.
C: I could be one of the last dunce people leave at UWI that don’t weed out yet. You can’t judge the whole institution off me, man. That’s not fair. P: I see what you mean. Alright. Maybe that isn’t fair. C: We can’t judge the value of your programme off this one conversation that we’ve had. That no fair. But sometimes yu come good, yu know. C: I don’t listen to yu all the time. But every now and then mi catch yu and sometimes mi hear yu wid dem bad breed people and yu a try wid dem. Mi no seh yu bad all the time, but mi can’t manage di whole heap a contention and di way yu like fi laugh after people. C: There is good in the worst of us. P: I see. I’m sure. I’m sure, ma’am. P: You keep searching for it in you, yah. Keep searching. Don’t lose faith. Alright. Thank you very much. All the best to you. C: And to you, mi dear. 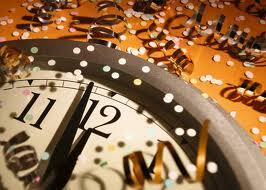 P: Have a wonderful new year. P: Well that brings us to the end of “Perkins on Line” for today. We’ll be back tomorrow at the usual time and in the usual place and we look forward to your company. P; What we are discussing is not why black people vex. What we are trying to do is to analyze Mr Seaga’s statement and to devise his meaning. C:And why black people vex. P: Right? You are an educated woman. And an educated woman has an obligation of leadership. Hold on little bit. P: not to come here and try and fool up black people and to get them to believe something other than what the man meant. P: That’s what you doing, you know. P: You start out by telling me that mongrel mean dog and is a disparaging statement, and then you turn around and start telling me that mongrel is high caste. In Jamaica. C: But you not listening. P: So then there should. No, but if mongrel in Jamaica means high caste, if mongrel in Jamaica means high caste then what you should be interpreting Mr. Seaga as having said is that the PNP is a high caste party. Ha, ha, ha, ha, ha, ha, ha! C: Mr Perkins what I’m saying is that mongrel operates in two domains, in these two domains symbol simultaneously. So at one stage mongrel is positive and at another stage mongrel is negative. C: . . . being fair, you are not allowing me to answer the question. P: No ma’am, I am going to transcribe this con con conversation and offer it to, offer it to the newspapers to publish and let us see the fallacies of your reasoning. P: I never asked you any such thing. P: No, no, no, no! Tell me what I said, don’t tell me what you would like me to have said. C: The black people like me who vex Mr Perkins! How we get to dog? C: because it has become an election issue. P: I am not a, I’m not a politician, ma’am. C: You ask me how people took race out of what Seaga said and I still don’t get there. P: I’m not, I’m not talking about people. I’m, I haven’t addressed any issue about people. I am talking to you. Hold on little bit. C: But I represent a whole heap of people. P: A highly educated woman, right? P: Educated precisely in this area and you are a specialist, you are a teacher of English, you are supposed to understand language and I’m asking you why is it that you are setting out to create the impression that Mr. Seaga made a racist remark. C: Nnnh, nnnh. I am not doing that Mr Perkins. P: You are not doing that? C: I am not doing that. P: Would you then agree with me that he did not make a racist remark? C: Wait, Mr. Perkins, let me talk. 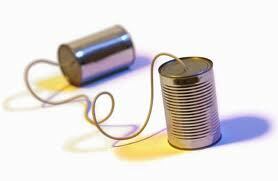 Two of us can’t talk one time. 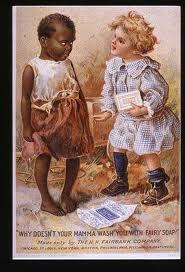 P: I’m asking you, would you agree with me that he did not make a racist remark? P: So you are saying that he did make a racist remark! C: I did not say that. I said I’m not agreeing with you that he did not make a racist remark. P: But then you must either believe that he made a racist remark or that he did not make a racist remark. One of the two. C: Save that for high school debating. That kind of strategy don’t work with big people. That is high school debating. P: It is not high school debating, ma’am. 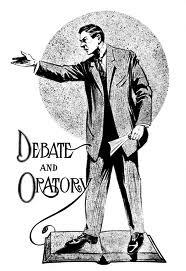 P: It is not high school debating. It is strictly logical. P: It is either that he made a racist remark or that he did not. P: One of the two. C: Life is not as simple as that. P: Ha, ha, ha, ha, ha, ha, ha, ha, ha, ha, ha, ha, ha, ha, ha, ha, ha, ha, ha, ha! 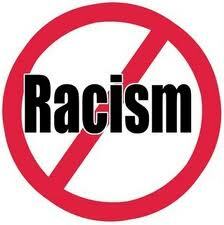 C: Mr. Perkins, racism is something that is perceived as well as given, OK? P: Ha, ha, ha, ha, ha, ha, ha! P: Hold on just a moment. Hold on just a moment for me please. C: Yes Mr Perkins. Now in the break I thought and said, you know, I must tell you I’m trying my best to not behave like a mongrel. I’m trying to behave like a high breed dog. So please, don’t interrupt me so that I have to shout at you and carry on bad. P: But if you, if you talk rubbish I have to interrupt you. P: But you’re going on forever. P: If I allowed you to go on, you would go on for the next half an hour and the programme would be over. C: No, I don’t want to do that Mr. Perkins but as we’re having transcript conversation now, I want that when you transcribe the thing I can actually say what I mean and not get, you know, flustered and chat foolishness in the heat of the moment. So what I’m saying quickly now, to just wrap up, how did we move from, ahm, the symbolic meaning of mongrel as degenerate, you know the the, you know, applied to a person as a term of contempt; how did we move from that level now to the original meaning, the literal meaning of a dog of no definable breed. And I was trying to explain about how mongrel in the racial sense is highly valued but, ironically – we don’t even touch irony now – because the first thing I said but wait, look at the levels of irony in Mr. Seaga’s use of this metaphor. 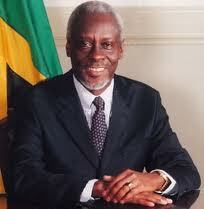 PJ Patterson is not a visible mongrel in the way that Michael and Norman Manley are visible mongrels. C: we no longer have good mongrels leading the party what we have is bad pure-black people leading the party. And that is how the symbolic leap now is made back to the literal. And that is how people say, “But wait. What Mr. Seaga is really saying is that if ideologically, ahm, old PNP and new PNP not really that different, because I don’t know up to now, I don’t know if anybody has said what he meant by the party being degenerate. In what area has it degenerated? In ideology? Has the ideology changed? How do you constitute the degeneracy? So people seh, “a mussi race im a talk bout. 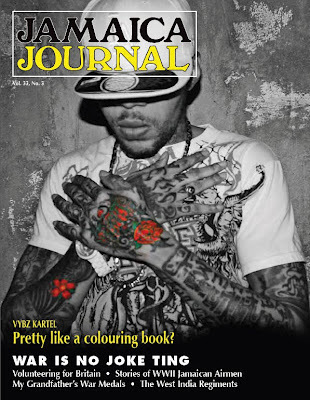 Im must a seh PJ black and dem brown an den im a seh, ahm, a mongrel. 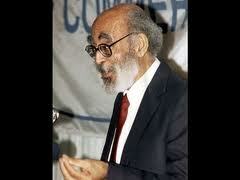 So maybe im a seh mongrel a black people.” That is how metaphor works Mr. Perkins. P: Oh, so I, I see. P: That’s what you teach at, is that what you teach at the university? P: That’s what you’re teaching there. P: I follow you. I follow you. P: Is that when Mr. Seaga was saying that the PNP was a mongrel party what he really meant was that it was a purebred party. Ha, ha, ha, ha, ha, ha, ha, ha, ha, ha, ha, ha, ha! C: Ahm, no, that is not what I’m saying. P: Then what are you saying? P: You are saying that PJ Patterson, hold on little bit, hold on just a moment, hold on little. You are saying that in Jamaica mongrel is a high-class thing. P: Hold on little bit. C: Mr Perkins you don’t understand that? P: But you interrupting me now. P: You’re interrupting me now. C: Ghetto is a good term you know. A lot of good people live in ghetto. C: And a lot of people who are not in the ghetto would love to get in. P: You are telling me that in Jamaica, that Jamaica people understand the word mongrel to mean a high-class dog. C: I did not. Now you see, you see what you doing? You mixing categories. C: When we looking at mongrel as high-class we not talking about dog anymore. We talking about race. P: Yes, but then listen. But hold on little bit. P: Oh, so hold on little bit. No I don’t go to university. I don’t go to, I didn’t go up there and have you people like you teach there. P: Now hold on little bit. Do I understand you to be saying that a mongrel dog is a low-class dog? P: But a mongrel man is a high-class man in Jamaica? P: That is the way the symbolism works! C: if you talking about race. Yes! P: What we would call them? C: We would call them ‘high colour’. P: We’d call them but if, but if, we wouldn’t call them mongrel? C: No, we wouldn’t call them mongrel. C: It is usually pejorative. P: It does not mean, hold on little bit, ma’am, it does not mean high-class brown man, then. P: It means something contemptuous. C: You gone back to Mr. Seaga? C: What did he mean? Tell me! 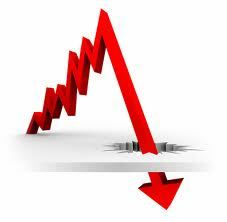 P: and that is disparaging! C: No, I’m not saying that! P: But what are you saying? P: Say it again, ma’am! C: Let me say it again. C: Alright. You promise you’re not going to interrupt? C: Promise, promise, promise, promise? P: I’m sure my, my listeners are going to find this amusing. C: Listen to what I’m saying again. See if you can catch it now Mr. P. Alright. What I’m saying is that when Mr. Seaga said the PNP of today is not like ahm Manley and so, it is now mongrel, OK, I agree with you, give him the benefit at the doubt of the doubt that he had no reference to dog in mind and relating it to PJ being black. P: Oh, you agree with me. C: Wait nuh, I’m giving him the benefit of the doubt. P: You came with something different at the start. But anyway, carry on. C: in the heat of the moment. C: Because I do not believe that if Mr. Seaga was thinking rationally he would have said this. C: Knowing what mongrel mean in Jamaica. Mongrel is dog a street weh you kick and carry on bad about. Nobody no respect mongrel dog. C: Alright. So this is the mistake that I think he made. Is the language trap him up. P: What did he mean? What did mongrel mean as he used it? C: How me fi go know wa Mr. Seaga mean, boss? C: Me no inna Mr. Seaga head! Me cyaan tell yu weh im mean! P: But you seem to be telling me a great deal about what he means. C: An me no tell – how me coulda go tell yu wa Mr. Seaga mean, boss? C: How the university come into it, Mr Perkins? 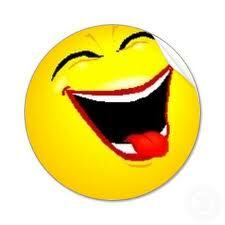 P: A teacher of English, an expert in Jamaican dialect, you must know what mongrel mean! What does it mean? C: The power of metaphor by its very nature – analogies, comparisons, are intended to bring with them the literal meaning of a word and apply it in a symbolic way to something else. 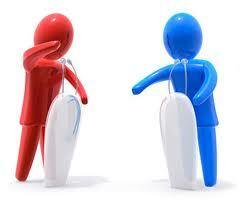 P: But if it is the li, if it is is is, it is not the literal meaning that is being applied. It is the symbolic meaning. C: Literal meaning is being applied symbolically. P: So Mr Seaga is using the word mongrel as symbolism. P: OK fine, we agree on that. C: No, we don’t agree on it you know. Because what you are saying is that the symbolic meaning of mongrel is not to be applied to the PNP. P: How you mean the symbolic meaning, of course it is to be applied. C: Listen to me nuh man! P: If I say that mong mongrel does not necessarily mean dog that statement implies that it means dog. C: By saying necessarily what you are trying to do is diminish its literal meaning. P: No no no no. I am saying that among the things that it means is a dog. P: And it means other things as well. C: that mongrel literally means a certain kind of dog. P: It means a lot of other things, in addition. C: It also means that. P: That is one of the things that it means. P: Yes. Meaning what, though? C: Meaning, well when you say . . . meaning mix-up. C: Meaning mixed up, not pure class. P: No, no, no, no! It means degenerate. P: Ha, ha, ha, ha, ha, ha, ha, ha, ha, ha, ha, ha, ha, ha, ha! P: Hold on little bit. What does the word mongrel mean? 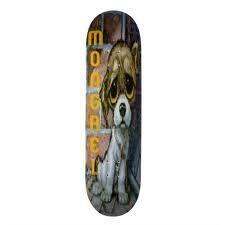 What does the word mongrel mean in such a context? It means degenerate. P: Degenerate is one of the meanings. C: Sometimes you get improvement of stock from mixing, you know. P: No, no. Not, not, no, no, no, no. Not from mongrelizing ma’am. 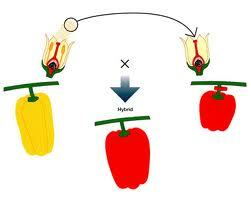 P: This again is something that I, hybridizing produces improvement of stock. Not mongrelizing. C: Well I’m not an expert on hybrids or mongrels. OK? P: So a hybrid and a mongrel are not necessarily one and the same. C: No, no, you remember I read the original definition that showed you that a mongrel and hybrid . . .
P: So what I’m suggesting to you is that a mongrel is a degenerate of a species. C: Alright. Can I ask you a quick question? C: Did you think Mr Seaga intended a compliment to the PNP? P: Of course not. But the PNP has not been particularly complimentary to the to Mr Seaga or the Labour Party and I don’t hear anybody complaining about it. C: No, well, I, maybe people, maybe, I don’t know why people are not complaining. But a lot of people were upset by the comparison between the Party and the mongrel. P: But but but why? Hold on just a moment for me. Hold on. P: We’re back here with you ma’am. Now if may go back for a moment to what Mr. Seaga said. He said that the People’s National Party today is not the party that it was under Norman Manley’s leadership, nor the party that it was under Michael Manley’s leadership. It has become a mongrel party. Now in the literal meaning of the word mongrel which is an animal of no definable breed, would you say, would you say that Mr M Norman Manley was pure bred or would he be classifiable as a mongrel? In the literal meaning of that word. C: You are talking about race or ideology? P: In terms of race. Because, you see, you are suggesting that Mr Seaga was implying a sort of racist, er, er this was an act of racism. C: When did I say that now Mr Perkins? P: Well, you brought up the question of racism and European ahm attitudes. So I’m asking you. P: Could you, could we deal with this? C: Let me answer nuh! P: Could we deal with it. Is Norman Manley, was Norman Manley a mongrel? C: Let mi finish nuh, Mr Perkins! P: Yes mam, but you are taking, you not answering my question. P: But that is not the issue here ma’am. The issue is whether Norman Manley was a mong, was a person of pure race. 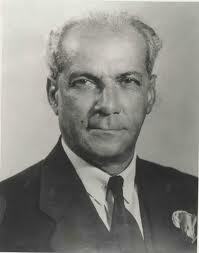 P: Was Norman Manley, whatever pure race is held to mean. But you have been talking about pure race. So don’t tell me you don’t know what pure race means. P: Was Norman Manley a person of pure race? Yes or no? 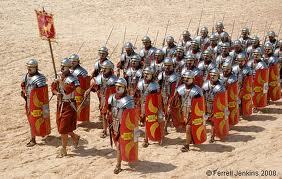 C: Well in the ordinary, everyday, commonsense meaning of pure race, I would think not. P: No. 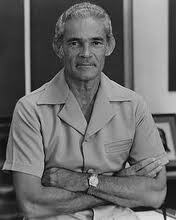 Was Michael Manley, was Michael Manley a person of pure race? C: Well, pure, again, in the sense of not being the result of various racial mixings, no. 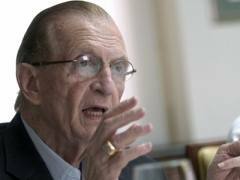 P: Was, is Edward Seaga a person of pure race? C: And I use pedigree symbolically. C: And I am not calling Mr Seaga a dog. 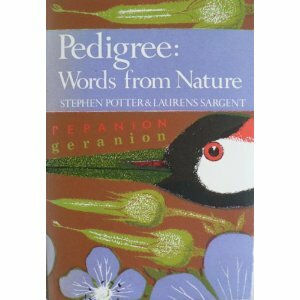 I am using pedigree symbolically. P: If I told you that I happen to know. 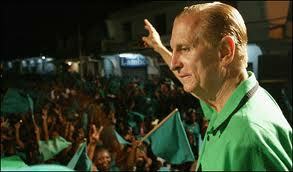 If I told you that Edward Seaga is not a person of pure race, ahm, would you accept that? C: Of course. You know him better than I do. C: Ih hih, was a mixed race party. C: It was mixed race. C: Now listen to youself. C: Mr Perkins, fair is fair. P: Now hold on. Just listen to me for a moment nuh ma’am. C: you will listen to me! C: Perkins, if I listen to you will you listen to me? P: Yes, of course I’ll listen to you. P: Mr Glasspole, Mr Wills Isaacs, Dr aah Gentleman from Manchester the whole lot of them in that party were all mixed up. 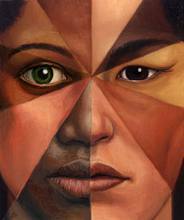 Mongrel people from the point of view of the issue of pure race. So is Eddie Seaga himself. Now what, therefore, why do you believe that Eddie Seaga, and you should explain this to me, that Eddie Seaga is using the word mongrel in a racist sense which applies, he’s saying that in Norman Manley’s day, the party was not a mongrel party. 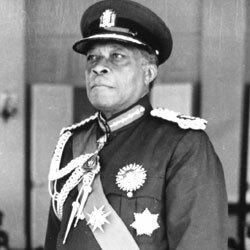 In Michael Manley’s day the party was not a mongrel party although PJ Patterson was a member of the party and a high-ranking member of it. What he’s saying is and all the people who are now leaders of the People’s National Party were in the party in Michael Manley’s day when he said the party was not a mongrel party. The party is now a mongrel party, he says. If he is using mongrel in a racist sense then he is being, he is disparaging as much himself and Norman Manley and Michael Manley as he is dis disparaging anybody in the PNP now. P: So why have you selected, why have you and other people at the University who should know better, why have you elected to suggest to people that this was a racist remark? C: Mr Perkins are you going to allow me to answer? P: Yes, yes. Yes, yes. P: Yes, you go right ahead. 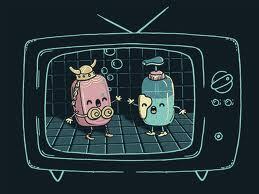 C: you will not interrupt? P: Hih, hih, hih, hih, hih! C: Mr Perkins I thought you said you would listen. Shut up! You are not honouring our contract. P: That is precisely what he was saying. C: You are not honouring our contract. You said you would let me speak. P: But of course you’re speaking. I’m not stopping you. C: to the literal, and I’m explaining how we got to that domain. So we are in the symbolic domain. Where what he’s talking about is not dogs but the notion of degeneracy. P: Precisely what I’ve said. C: Mr Perkins keep quiet and let me finish nuh! P: Ha, ha, ha, ha, ha! P: I’m listening, yes, yes. C: you might miss something important. You asked me to answer a question and I’m answering. P: I see a torturous piece of reasoning coming up. But go ahead. C: From the symbolic to the literal. You have been shifting your definition of mongrel between the symbolic and literal domains. P: I have not been doing any such thing. P: That is not true. C: Mr Perkins keep quiet and mek mi finish mi point nuh. P: Well don’t accuse me of what I haven’t done. C: Listen to me. I’m going to answer you. How do we get from symbolic to literal? Literally, as you yourself said earlier, Mr. Manley senior, Mr Manley junior were mixed race. Mongrel in terms of racial definition. 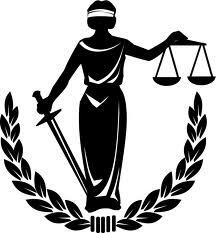 In Jamaica, our national motto, “Out of many, one people” at a certain level valorizes, it bigs up brownings. It bigs up mixed race people. This is the standard that many people aspire towards. Many black men have to get light-skinned women to improve the stock of the children. 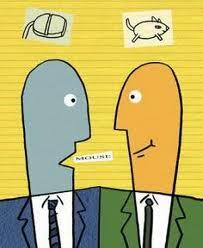 P: In other words, if you are a mongrel you are a higher caste. P: Ha, ha, ha, ha, ha, ha, ha, ha, ha, ha! C: If you are a mongrel you are high class. C: In certain contexts, purity is not an asset. 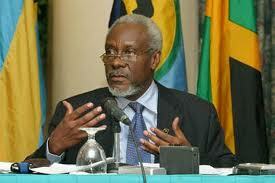 C: Racial purity in Jamaica, especially if it’s African racial purity, is seen as degeneration. It is a deviation from the high ideal of brownness. P: How can it be degenerate? C: Listen to me, Mr Perkins. P: I don’t understand. You know what degenerate means? P: Stop there for me nuh please. C: Unless you are taking a commercial break.